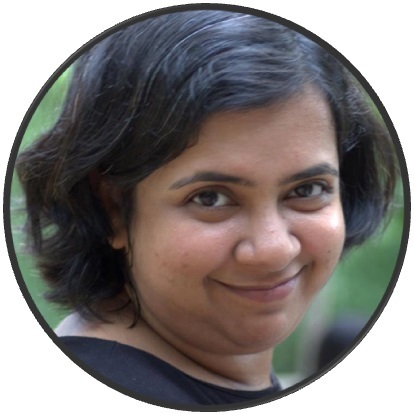 Before I launch into this recipe here is one observation that I have to share. If your prawns don’t almost melt in your mouth they are overcooked. This is one of those very well documented but lesser practiced facts. An obvious exception is when they are supposed to be crispy and deep-fried. 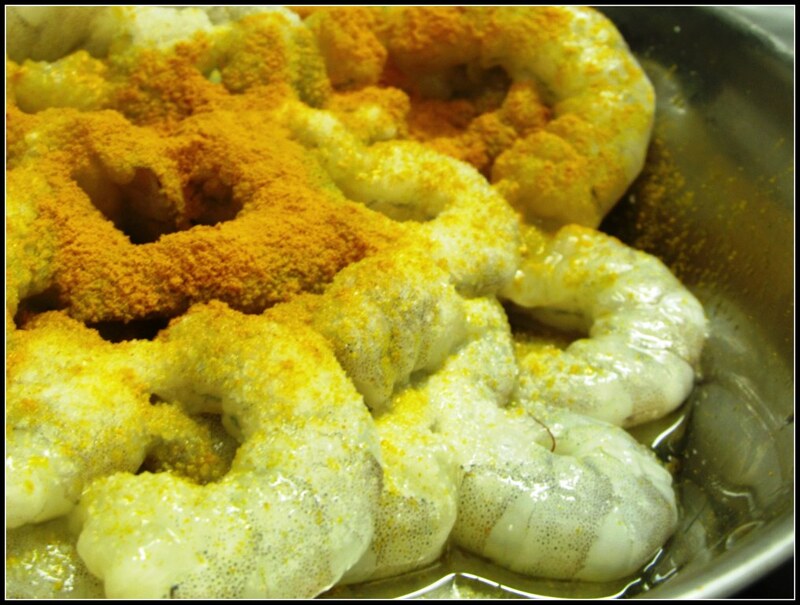 Around 500 gms of medium sized prawns. After removing the shells and deveining (optional) the weight surely goes down. 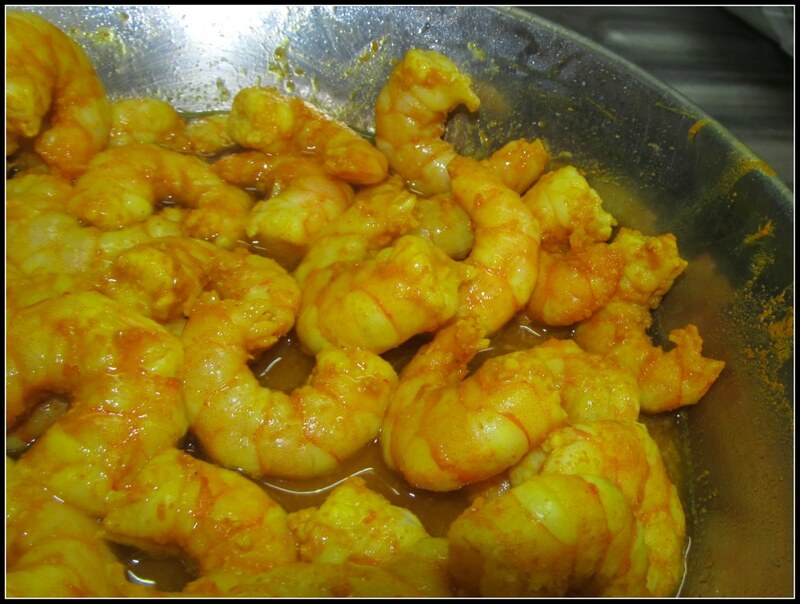 You can as well use large prawns, or lobsters (golda chingri) but should avoid the small ones. 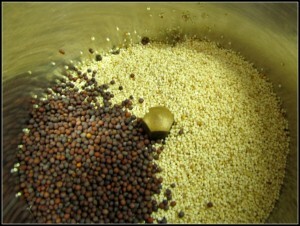 Three table spoons of yellow or black mustard seeds. Clean the prawns in running water in case you are not satisfied with the cleanliness of the produce that you have procured from the market. Transfer them in a bowl and sprinkle one table spoon of turmeric powder and and half a tablespoon of salt on them. Mix them such that each of them get coated. 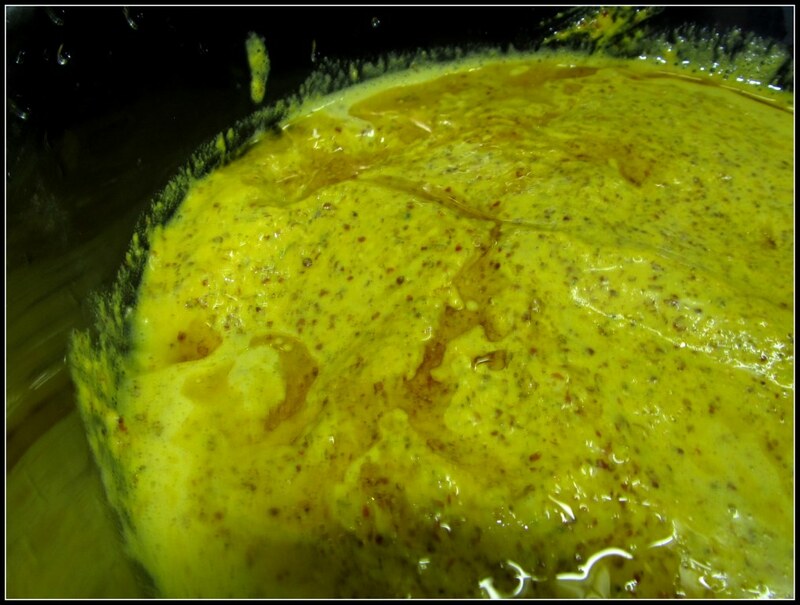 Take a frying pan and heat up two table spoons of mustard oil. Once it becomes really hot throw in the prawns. It will splutter !! 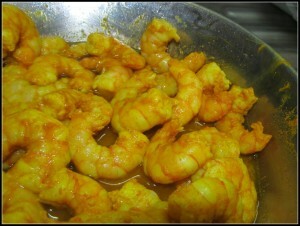 But don’t keep the prawns for more than 1 minute 30 secs. This is important. 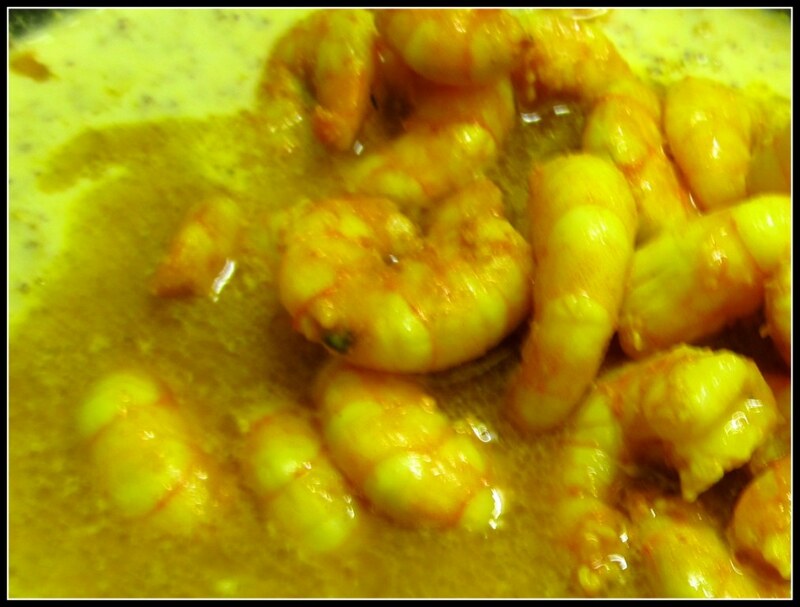 Anything more than two minutes for medium sized prawns in direct heat will overcook them, and make them hard. If you have large pieces, make sure you fry them for 1 minute on each side. 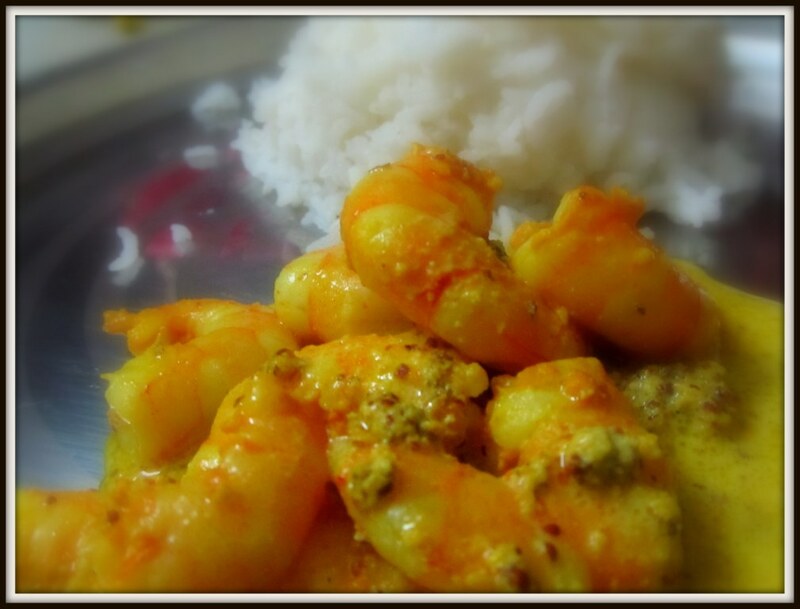 If you have those luscious Golda Chingris (Lobsters ) , give them 2 mins on each sides. Not more than that. 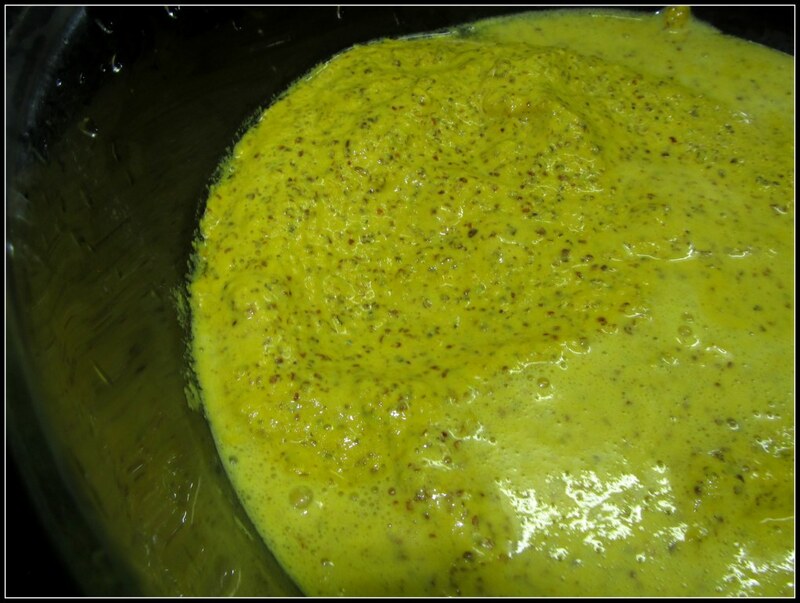 Make a paste of the mustard, poppy seeds, chili, vinegar and one tea spoon of turmeric. Vinegar prevents the mustard paste from turning bitter. Transfer the paste in a microwave bowl and microwave uncovered on high (I have a 1200 Watts microwave) for 8 mins. 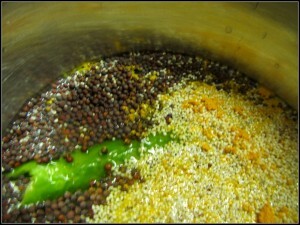 You can add some water if you think the paste is getting dry halfway through the process. 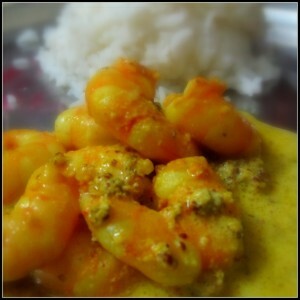 Take them out and add the prawns, and the coconut milk. 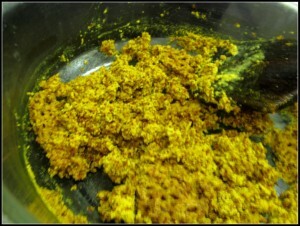 Cover the bowl, and transfer the mixture into the oven for 2 more minutes. Your Bhapa Chingri is good to go! !